For April I am writing my story in a different place everyday. Today I went to IKEA. 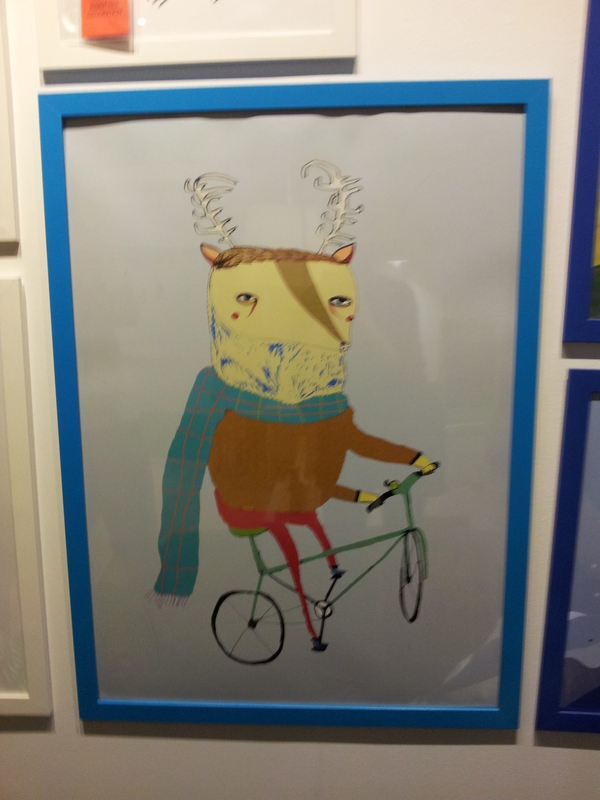 The Hovag (commonly called the hipster antelope) is a rare species. Unlike the traditional antelope, Hovags are much smaller and more antisocial, usually living alone or in small groups called ‘subcultures’. 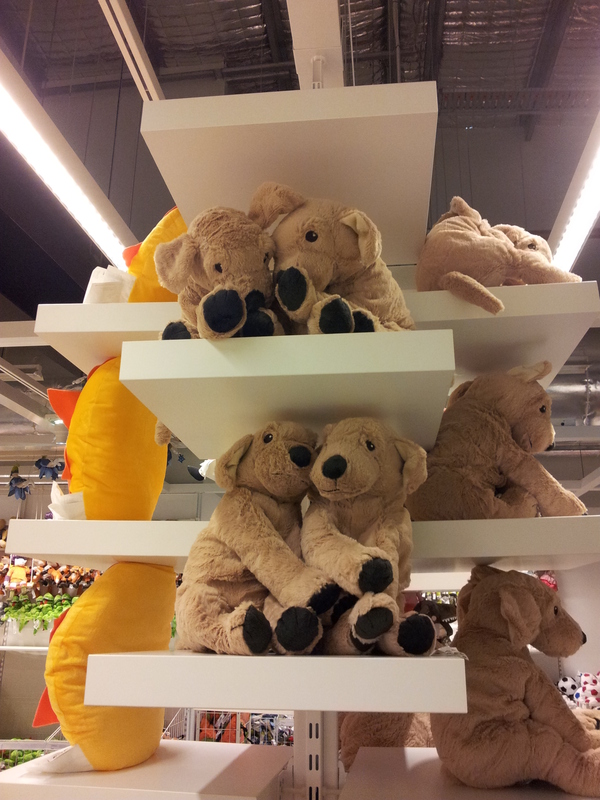 They can be found amongst Swedish furniture, usually making their burrows from cardboard, alan keys and small pencils. Hovags are incredibly vulnerable animals and always choose flight over fight, which is why many are often spotted riding small bikes so as to escape their predators. Although populations are on the rise as their habitats are conserved and expanded by consumers, it is still illegal to hunt or catch a Hovag. However, it is said that the Hovag milk is exquisite and organic farmers who have permits to collect the milk report it has a “coffee like quality”. Found a story in the toy puppy display. It’s like a comic strip. Top panel: puppies tell secrets. Bottom panel: puppies are suddenly frightened. I’m wondering what they’ve just discovered? The puppies in the first panel are afraid there’s something beneath them while the puppies in the second panel are afraid there is something above them.